Hoddle Grid Heritage Study – have your say. 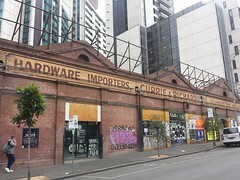 As part of the CBD ‘Hoddle Grid’ heritage study, the City of Melbourne is asking for community input. Not so much for individual places of architectural merit, but more for you favourite places, building a profile of what the CBD means to the people of Melbourne. “What public places make the city centre of Melbourne distinctly ‘Melbourne’ for you? Share your story of place and tell us what the central city means to you. The City of Melbourne is capturing people’s stories and meanings of public places in the Hoddle Grid area. Maybe it’s your go-to meeting spot, like the clocks? Or where you marched your first protest? The city is rich with history and personal experiences and the answers will help identify the broader qualities and social significance of places within the Hoddle Grid. They are also running walking tours to hear from people with special connections to some of our favourite places. There will be a key speaker at each location, and others are welcome to share their connection with each place. We’ve lost far too many ‘historic’ buildings in Melbourne to be replaced by insignificant looking tall buildings that are dwarfing our city. 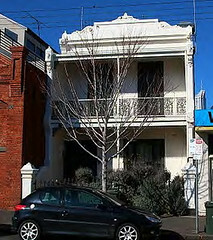 We need to protect more old buildings and giving them heritage protection. This is Melbourne! Not Asia! We need to halt the addition of more skyscrapers before our city totally loses its identity! !